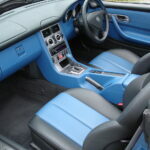 Lazulite Blue metallic, special order blue/black leather interior with contrast stitching, engine turned aluminium trim, five speed automatic, cruise/limiter control, climate control, ESP, traction control, heated electric front seats, leather covered steering wheel and gearknob, multiple airbags, remote alarm/immobiliser/central locking, heated electric exterior mirrors, wind deflector, original 17” special order AMG five spoke monobloc polished alloy wheels (wider at rear), V6 door treadplates, factory overmats, original Kenwood radio/CD/MP3 player, all handbooks, tools, original first aid kit etc, full service history, only 12,200 miles. 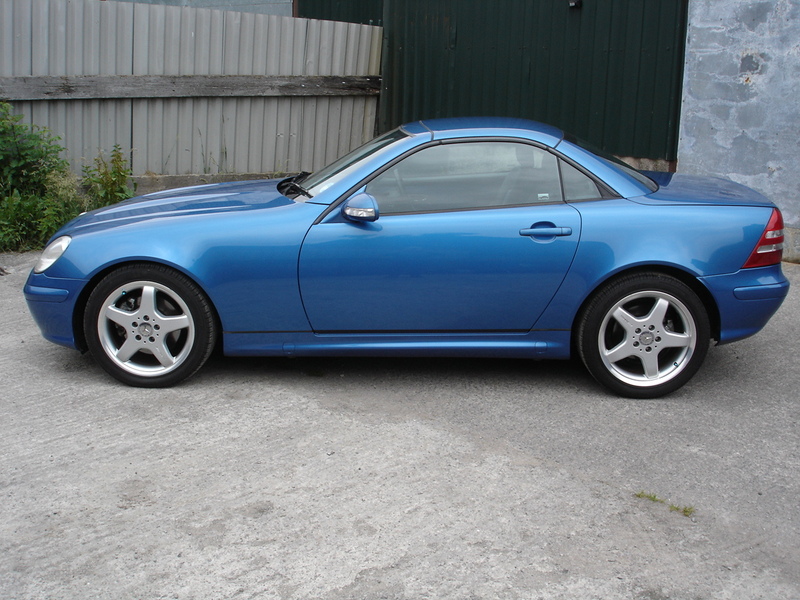 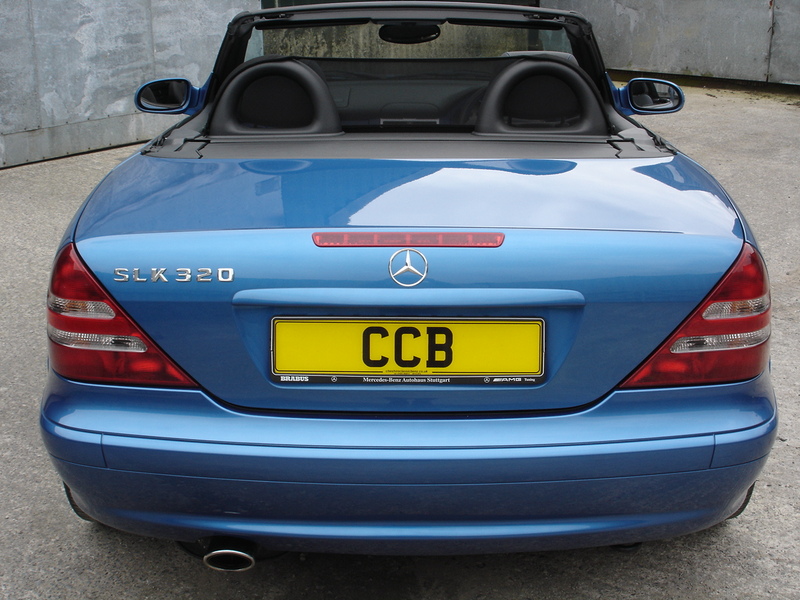 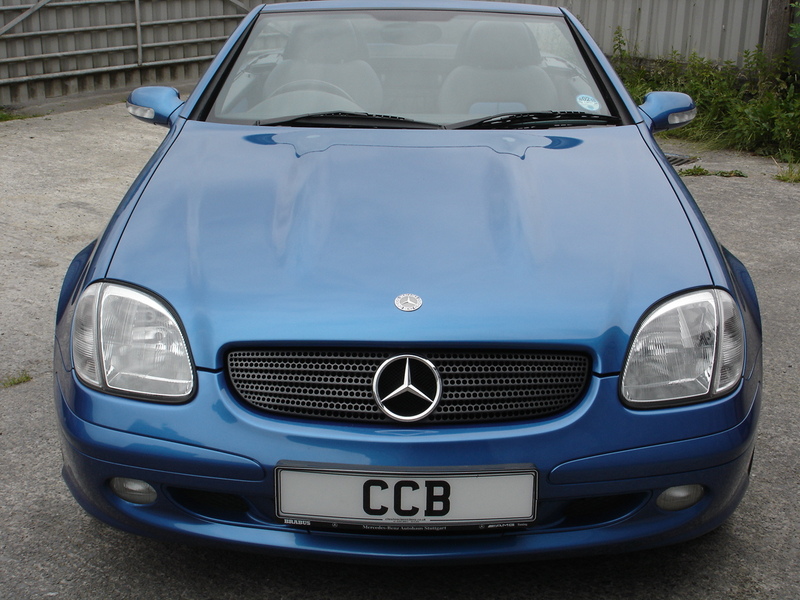 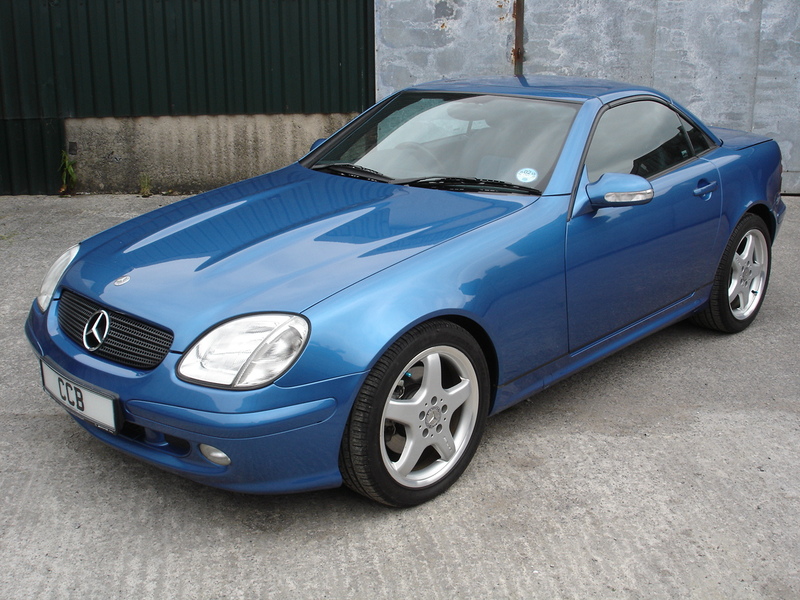 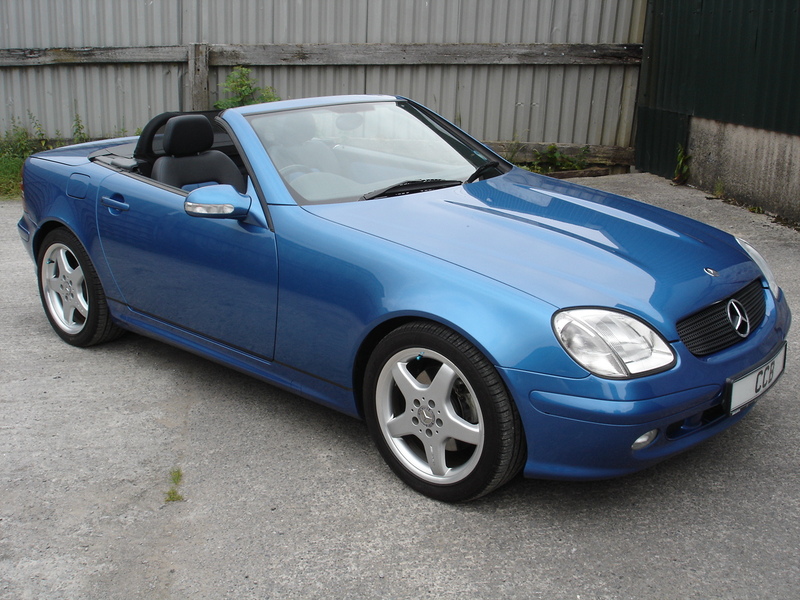 If you always intended to buy a new SLK in the early 2000s but never quite got around to it, this could be your last chance. 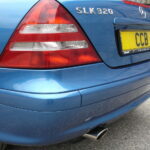 In terms of quality, think of it as a three month old ex-demonstrator and you will not be far wrong. 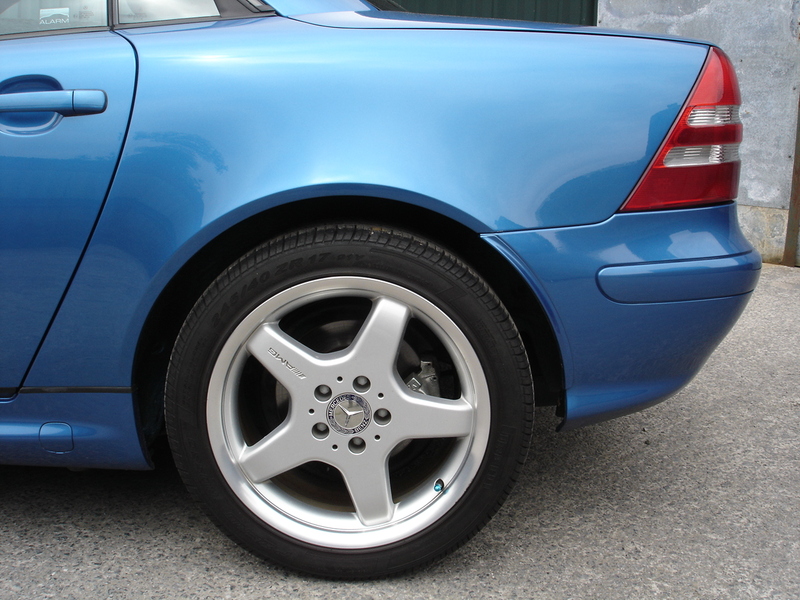 It is very very hard to believe that it is 17 years old. 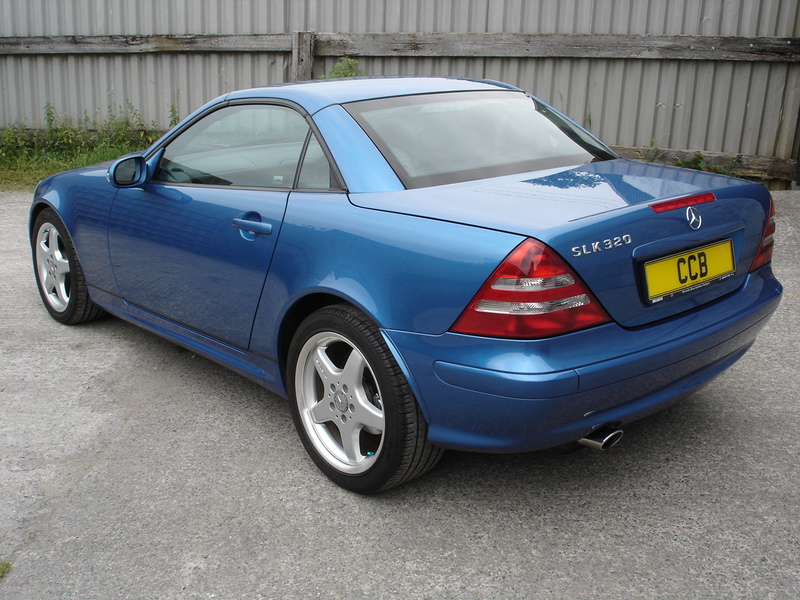 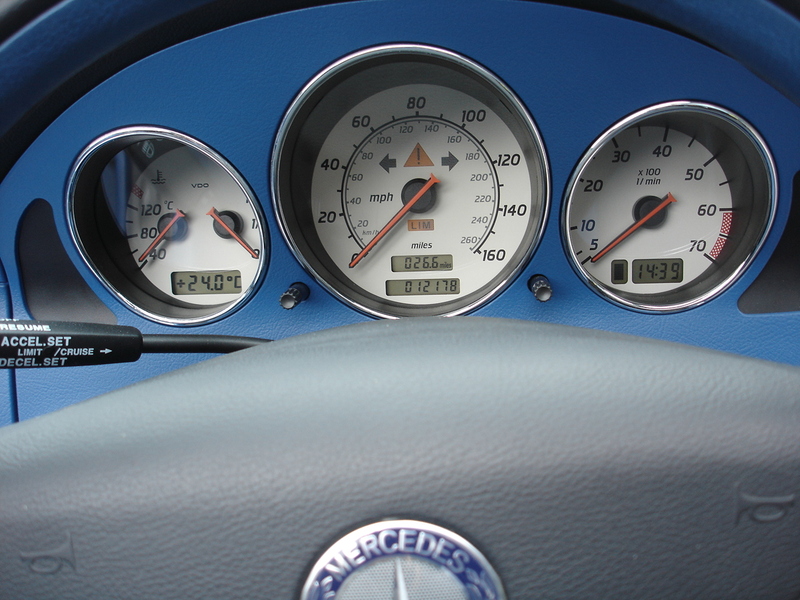 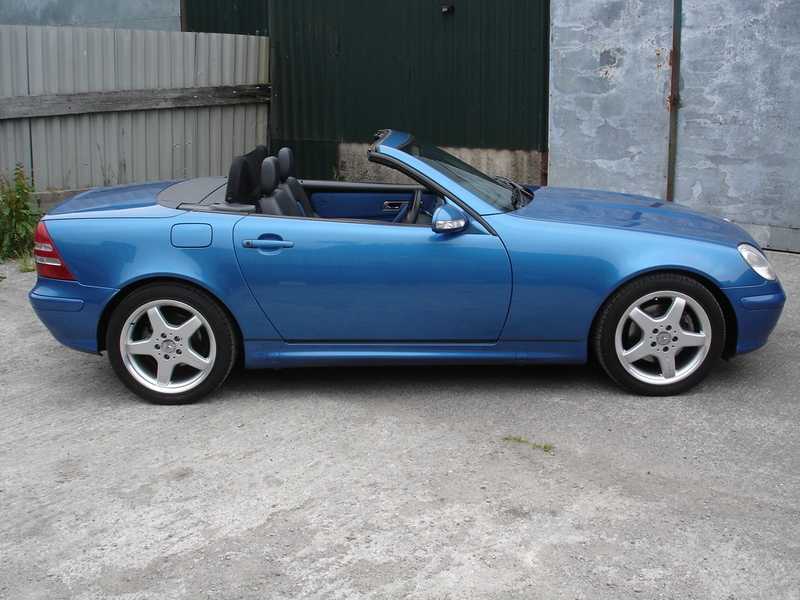 The SLK320 was built in quite small numbers compared to its more basic 230K cousin, making this one quite a rare find, especially with such a tiny mileage covered. 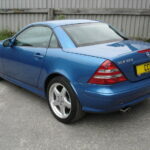 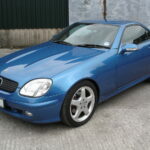 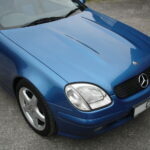 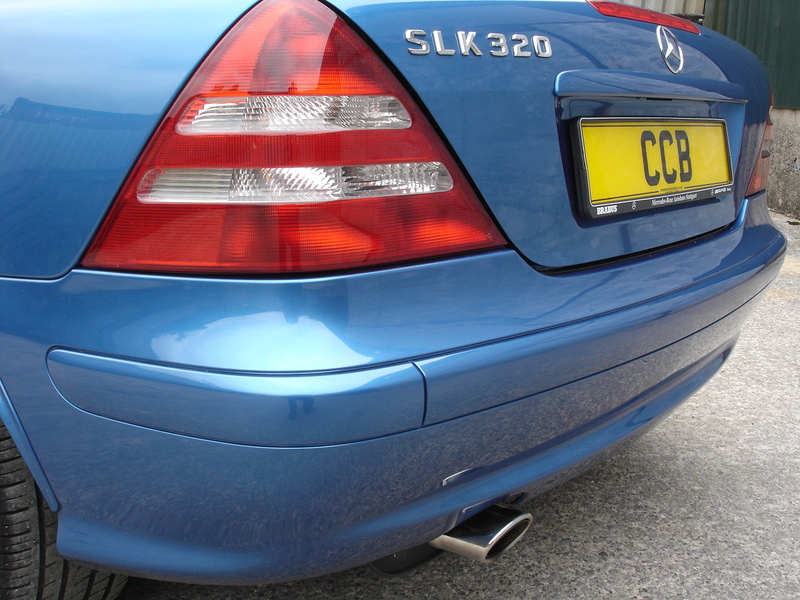 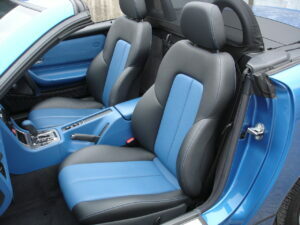 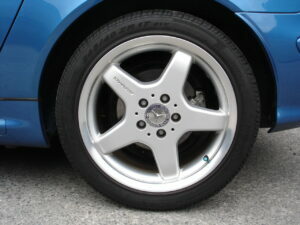 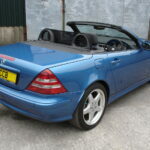 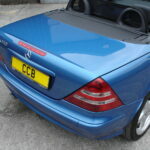 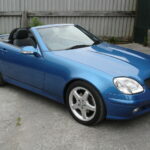 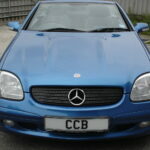 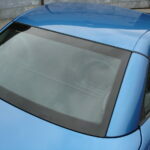 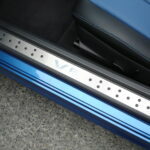 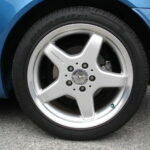 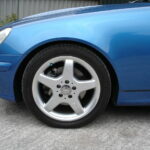 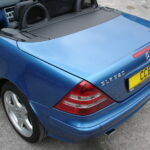 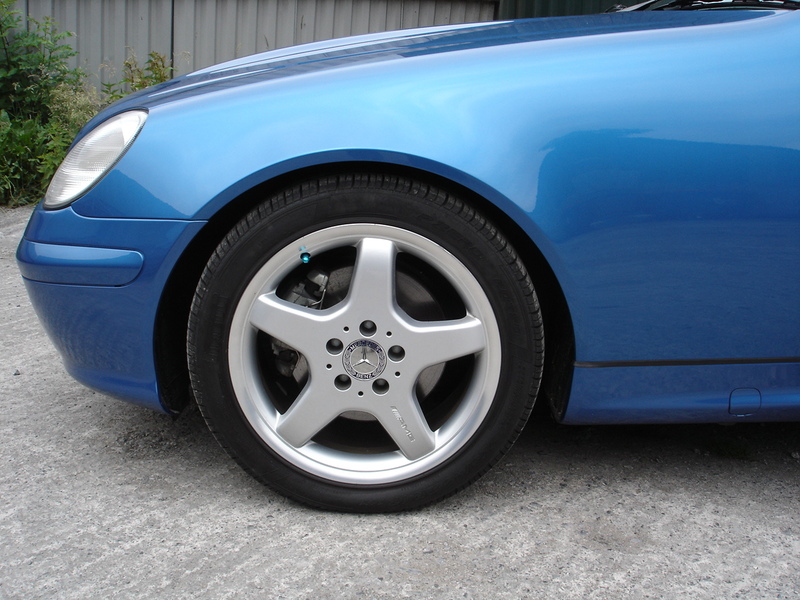 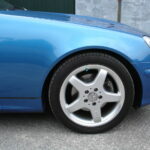 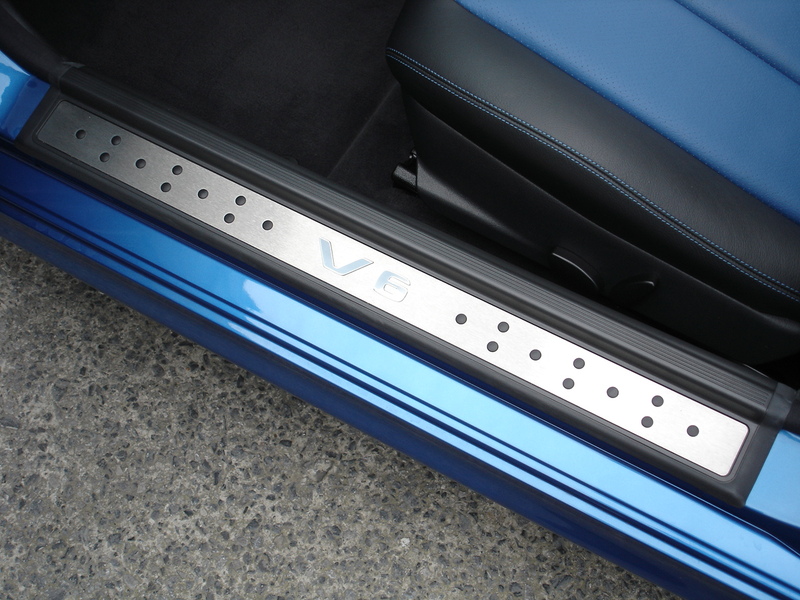 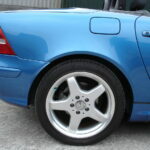 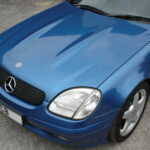 It has the same silky-smooth V6 as fitted to the larger SL320, but as a lighter car has considerably more performance. 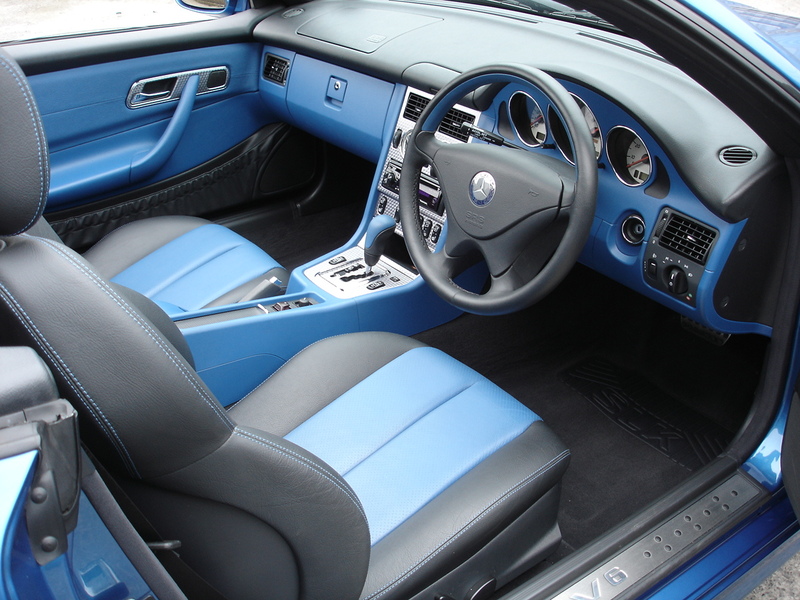 The exterior/interior colour scheme of this one is rare and striking, and suits the body shape perfectly. 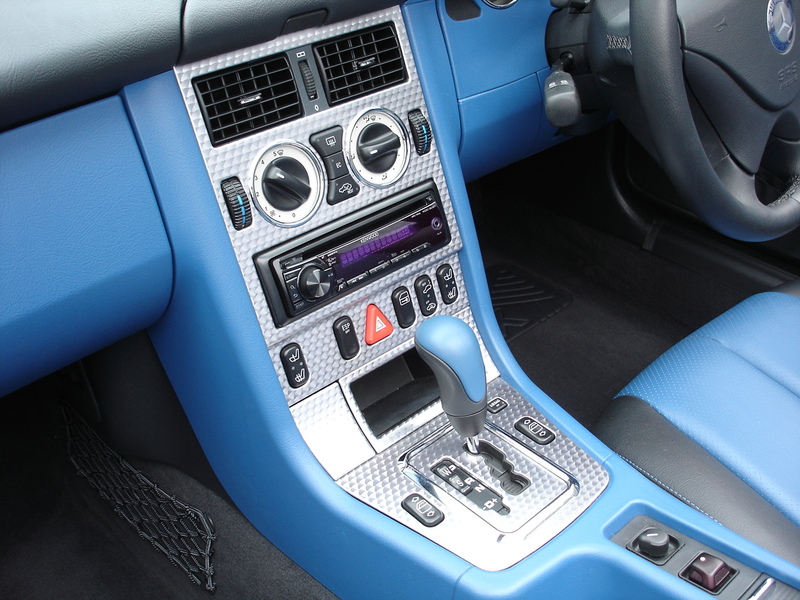 It is a fabulous alternative to the default silver or black finishes that this model was usually turned out in, and will be admired in any company. 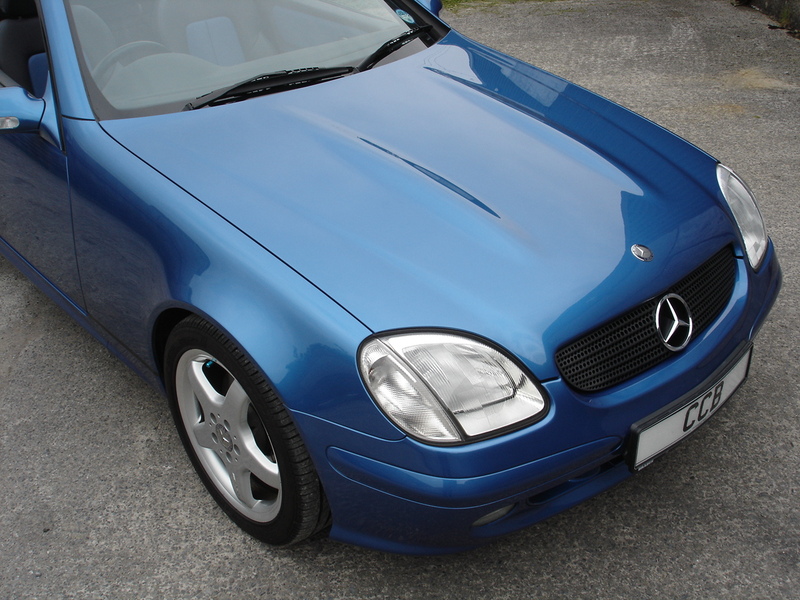 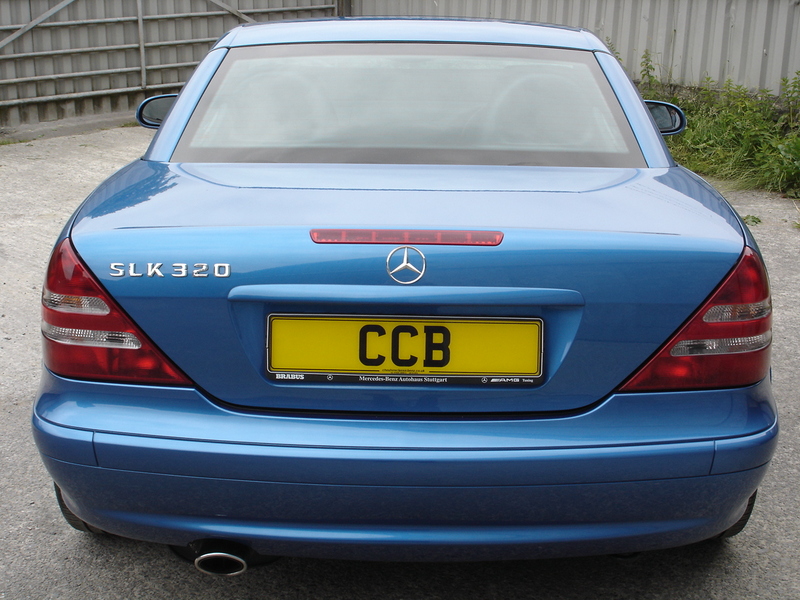 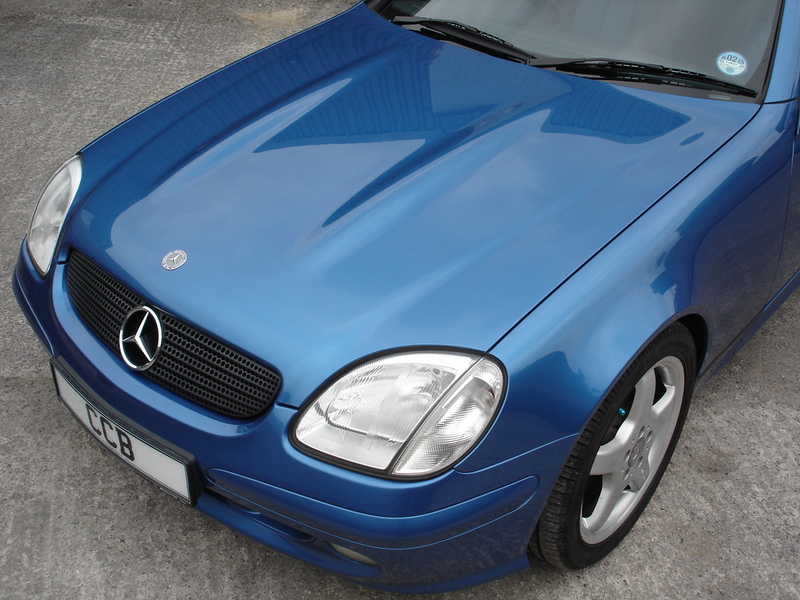 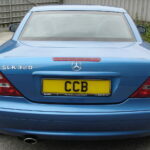 This car was supplied new to full UK specification in September 2001 by Mercedes-Benz Autohaus Stuttgart, to an owner who hardly used it. 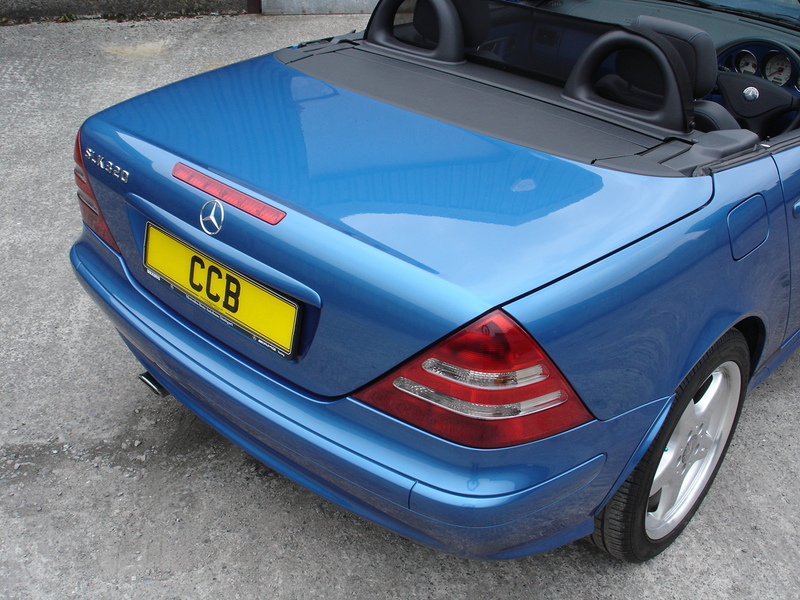 By November 2002 it was with its second owner, a gentleman from Ripley, Derbyshire, who kept it for 11 years, and in September 2013 it went to its third and latest owner, a gentleman in Altrincham, Cheshire, by which time it had covered a mere 9,200 miles. 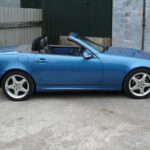 He bought it with the intention of using it for holidays and special trips, but due to a busy work life he has only covered 3,000 miles during almost five years of ownership. 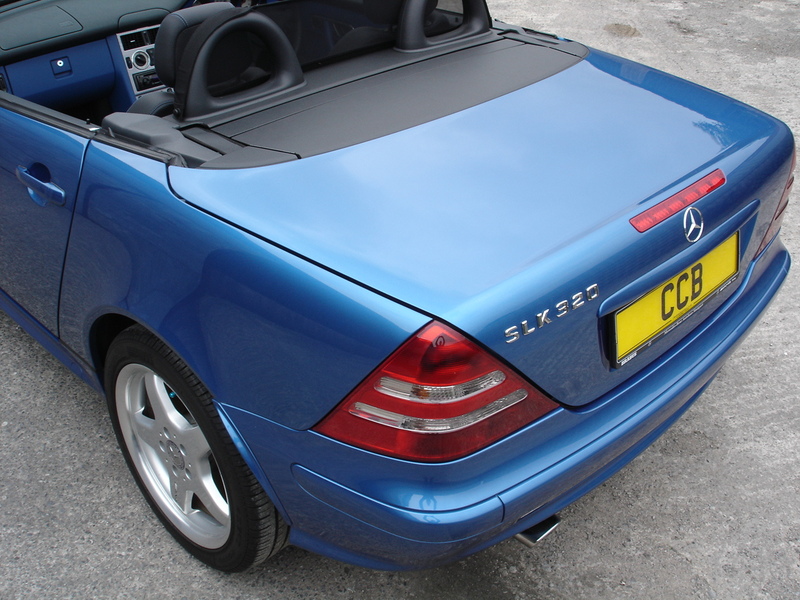 Despite its tiny mileage the car has been regularly serviced, with five stamps from Mercedes-Benz dealers and one from an independent Mercedes specialist. 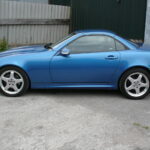 In addition to the full service record we also have every MoT certificate, together with several of the service invoices corresponding to the stamps in the book. 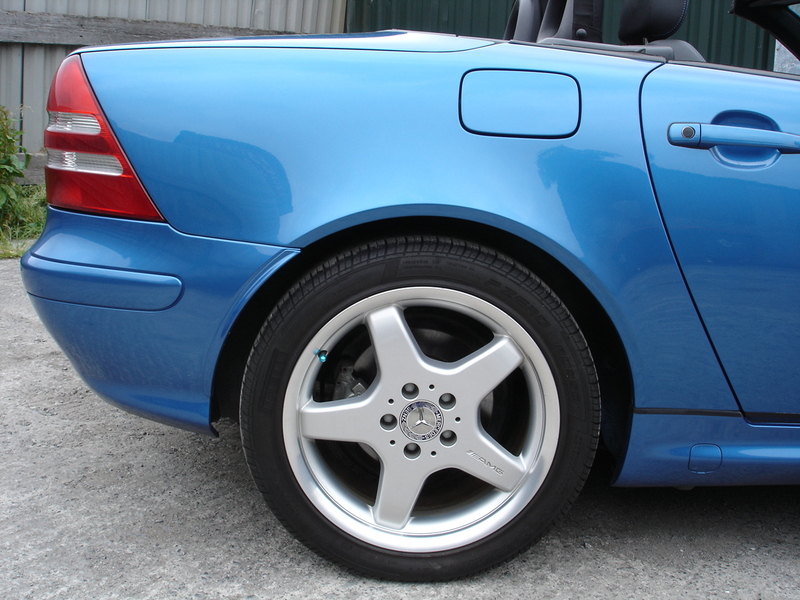 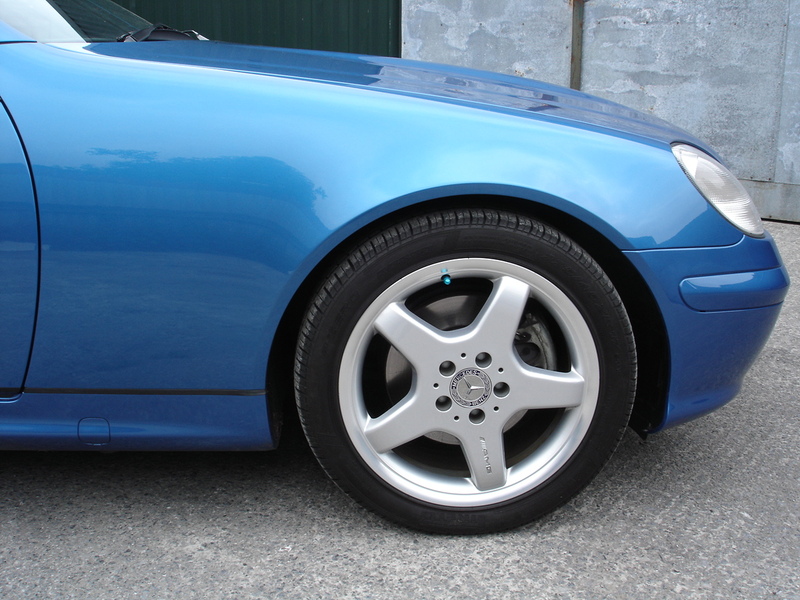 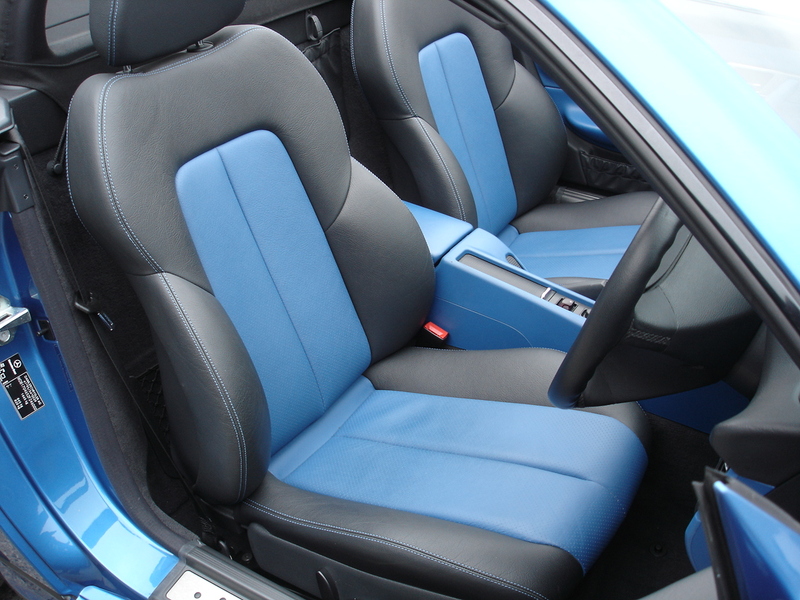 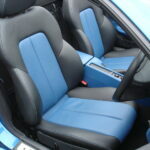 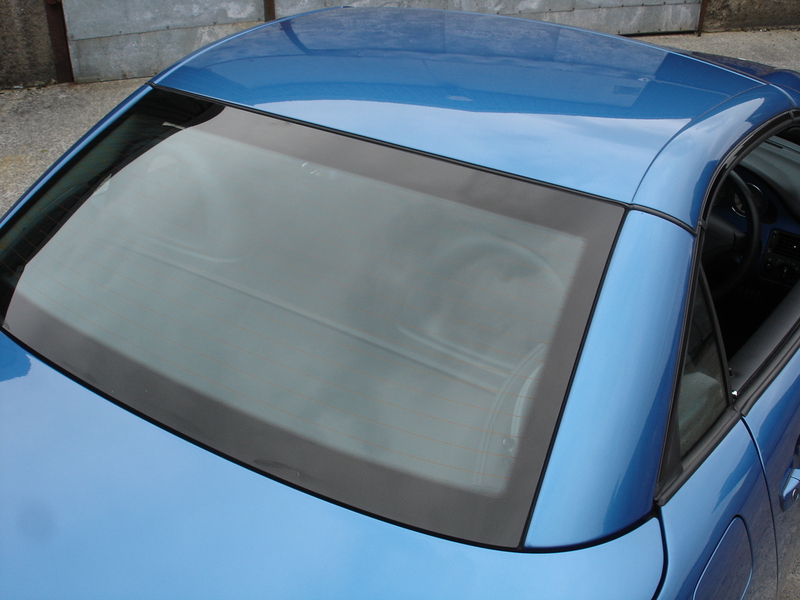 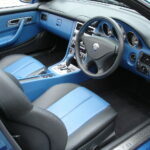 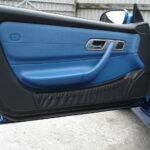 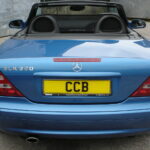 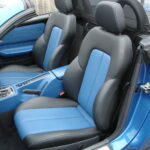 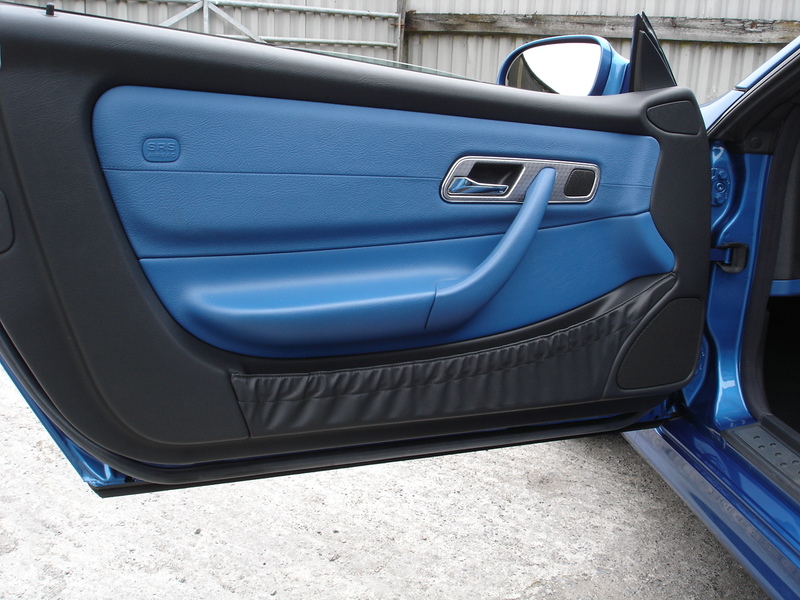 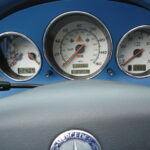 Each owner has maintained the car without regard to expense and kept it stored under perfect conditions. 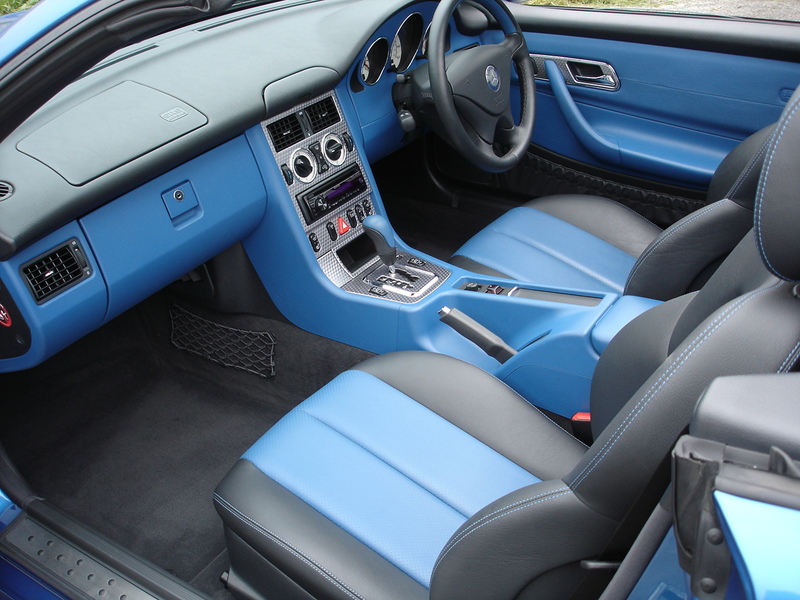 Everything is in perfect working order and that wonderful new car feeling is still fully evident, with all controls crisp and precise, and all surfaces pristine. 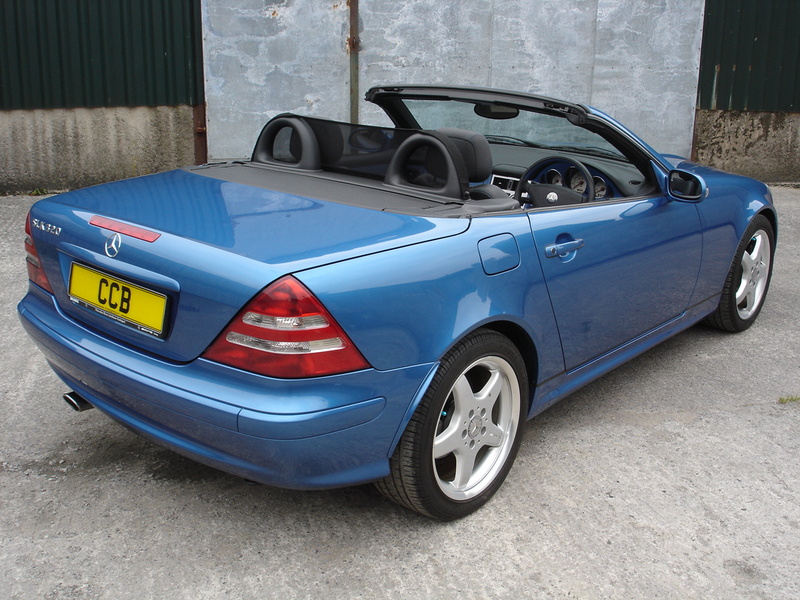 Whether the new owner cherishes it as an occasional treat or uses it as an instant entry to winning concours silverware it will give many years of happy returns, far in excess of its modest purchase price.